For me, I look at gloves on a triangle of performance. The three points of the triangle are Protection, Agility, and Weatherproofing. Prior to the Powercross, gloves always seemed to stray towards one side of the triangle. Large gloves are excellent in weatherproofing and protection, but the agility is always poor. Yeah, they may fit your hand well, but if you need your hands to be able to make precise movements, where a missed step will likely end up in a wrecked sled, they just don’t work. Motocross-style gloves provide excellent agility, some protection, and little to no warmth. Previously, the key was to keep a half-dozen or more pairs of motocross gloves (the thinner, the better), and just cycle them out. However, this would leave my fingers cracked and bleeding from the elements. I also used to ride Arctic Cat, and I think anyone that’s ever ridden a cat will tell you their hand-warmers are quick to fail, another bit of fun with thin gloves. I’ve tried just about every combo. 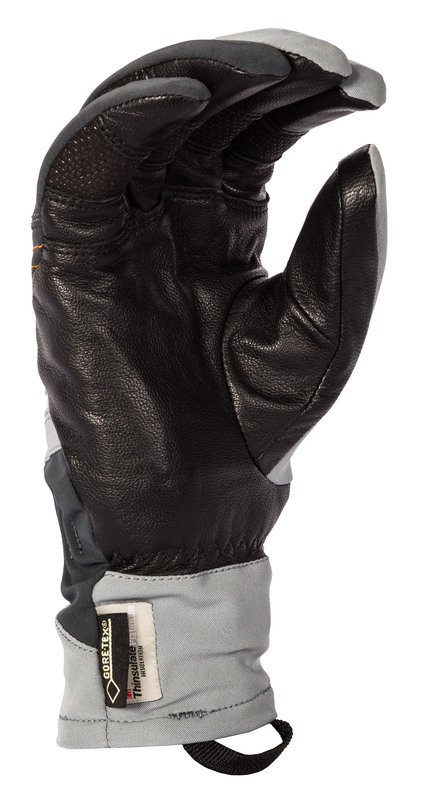 Oh yeah, and you’ve got to have one set of ‘thick’ gloves for just-in-case (or generally, the ride out). Generally, my first issue with gloves is that they lack agility. When you need to make specific maneuvers, they often slip between your grip and the bars, especially with multi-layered or multi-material gloves. Bulky gloves give me a feeling like I have less control over my sled and how it reacts. Often, if I’m in a sticky situation, the first thing I do is take off these type of gloves. On the other side of the spectrum, motocross-style, or thin gloves are excellent at agility. Some of them, especially those designated for summer-use, feel almost like not wearing a glove at all with respect to agility. However, they offer little to no weatherproofing, and many of them offer little protection for bashing your way through the trees. We all know that they don’t stand up to moisture, at all. As soon as you put a new pair on, they’re wet, and absolutely, as soon as you give your buddy a ski-tug, they’re soaked. Finally, if they’re thin enough to ride in, they offer little warmth, less wind protection, and the thinner they get, the shorter they stay dry. 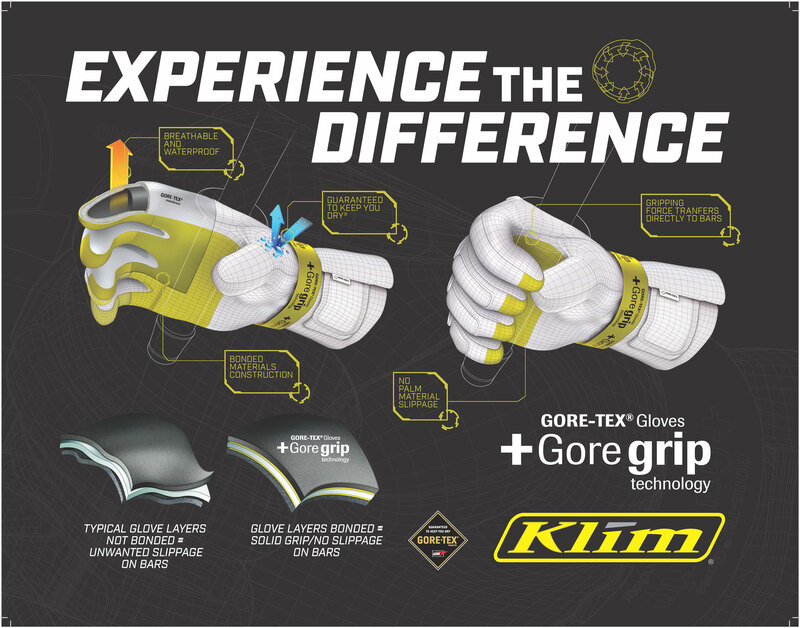 New for the 2015-16 season, Klim released the redesigned Powercross Glove. There was a lot of hype surrounding this glove, and I was interested to try it, but honestly, I was not overly hopeful that it would not fall towards one edge of the Glove-Triangle. Boy, was I wrong. On one of my first rides of the season, I was in company of several folks from Klim, one of whom let me borrow a pair of these new Powercross Gloves. We left the parking lot, and it was barely freezing, and starting to sleet. 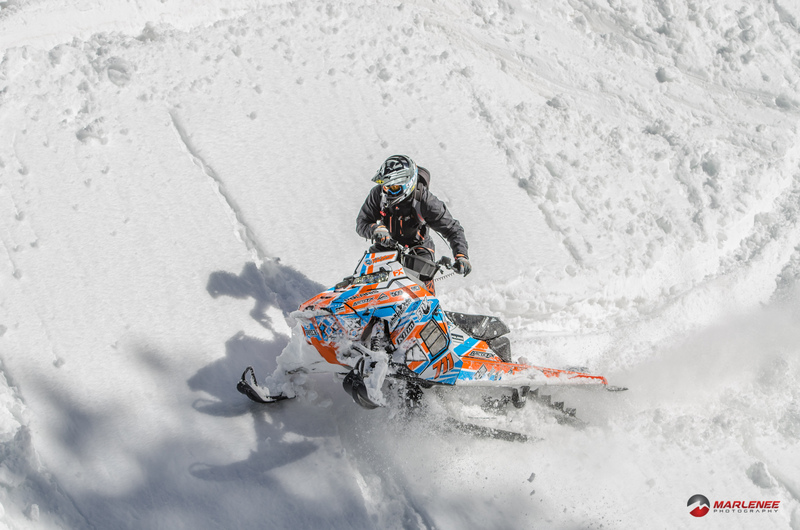 Slush and water had begun to accumulate on my sled, and had started blocking my vents, often times forcing me to use the lateral face of my pinky to wipe the snow away from the vents and from my goggles. We had difficult creeks to cross, with minimal snow to use, and soon, the trail turned to slush covered ice. By the time we got to the top, the snow was moist, heavy, and bottomless. As soon as I ventured off trail, I became stuck and had to use my hands to free my running boards by scooping the snow. I was sweating, and the temperature was still barely freezing. I was continuing to wipe the sweat from my forehead with the back of my hand. I was out of shape, especially for sledding, and not used to the elevation. After 30 minutes or so, I freed myself and reached the top of the pass; my brain had been trained that it was time to change gloves. I started reaching to pull the gloves off, but they were dry. I couldn’t believe it. I took them off, thinking my senses were lying to me. I rolled the glove inside-out, just a few inches, and held the lining against my face. They were, indeed, dry. The remainder of the day went on, with several more stucks. The gloves never got wet. I was sold. And, the more I started watching throughout the season, the more I noticed that everyone was wearing them. When I got home, I started doing some research. A LOT of technology went into the design of these gloves. First, they are GORE-TEX, meaning they block the wind, breathe, and are waterproof. They are light and tight fitting, but still insulated. The layers are bonded together, and I don’t feel like there is a layer of mush between my palm and the bars. So, is there a down-side? The only gripe I’ve heard, and while not really noticing it myself, is that they take a short while to break in. You want to buy them as ‘tight’ as you can get on your hand, because they stretch ever so slightly after a few rides. Once they are broken in (I would say within three rides), the fabric and leather are supple and move easily. This last season, I kept one pair of these gloves, for the entire season. I wore them 80% of the time, and most days, I could use them for the ENTIRE DAY. The construction was durable and I will use this same pair again for a second season. The fit, for my hands, is perfect. 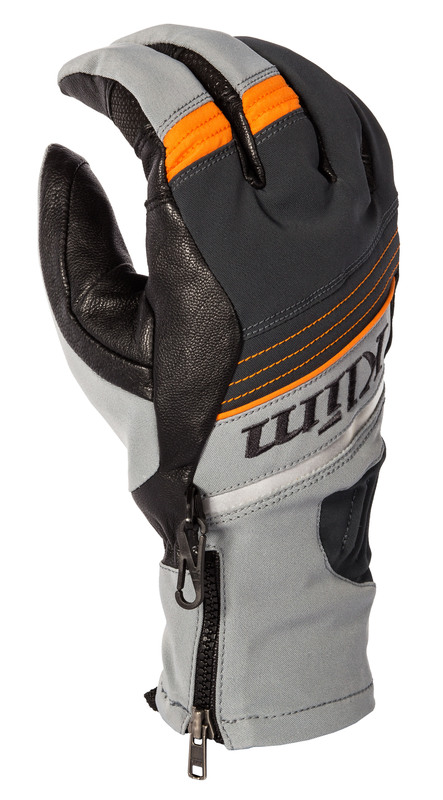 The zipper allows you to get them even tighter, for the confidence of a perfectly fit glove. They are thick enough to offer good protection, both from wind and from tree branches and other various finger-getters. This glove truly falls exactly in the center of the Glove-Triangle. By all measurements, this glove is the best glove I’ve ever worn sledding, and may be the perfect glove. My only suggestion is to make sure you try them on. Buy them as tight fitting as you can manage to get on. Tough it out for the first ride or two, and it will be worth the investment. 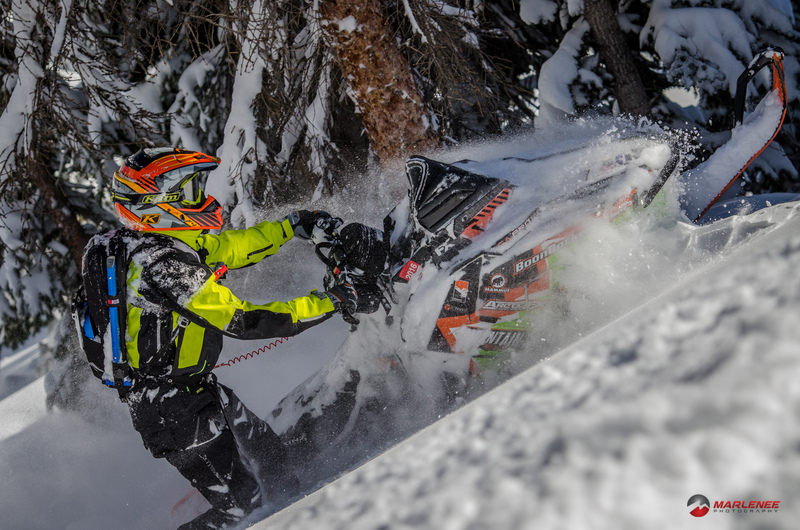 The KLIM® PowerXross glove is reborn with racers and chute chasers in mind. Now built with 100 grams 3M™ THINSULATE™ Platinum Insulation on the top-of-hand and incorporating the GORE-TEX® Gloves + Gore grip technology in the palm, line adjustments become instant. You can’t find a more comfortable, durable and highly engineered glove than the all-new PowerXross.